We have seen Google roll out recent updates that have dramatically effected the presentation of mobile search results. The mobile-friendly label and the algorithm update are two examples that show Google has reexamined the concept of device specific search results. According to The Google Webmaster Central Blog, there is a new change to be on the lookout for. 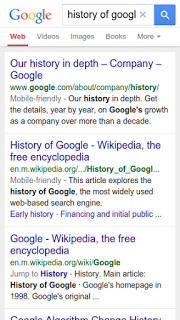 Google will be replacing the URL in the search results with the site title and breadcrumbs. The updated new look with the site title and breadcrumbs looks quite a bit cleaner and easier to read to me. More than just aesthetics, this update will make the structure of your site even more important moving forward. Having your content grouped and structured in a logical way will allow your content to take advantage of the new Google mobile search results. Since this provides such a b etter user experience, it might be safe to assume it won’t be long before they roll this out to all search results. I think they should add links to the breadcrumbs so that each search results has the ability to have 3 or more links. 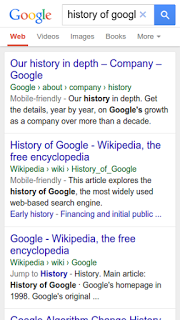 Do you like the updates to the mobile search results?